Big Bear Lake, Calif., 20 May 2014 – The International Dark-Sky Association (IDA) joins AstronomyOutreach network to raise public awareness about the importance of dark skies for the environment and science of the Southern California mountain region. The StarLight Festival, a free educational event geared towards children, young adults and families, will be held May 24-25, in the Village of Big Bear Lake at the Northwoods Resort & Conference Center. This unique celebration includes music and the arts and aims to create a better understanding of science and astronomy through interactive outreach and hands on experiences. 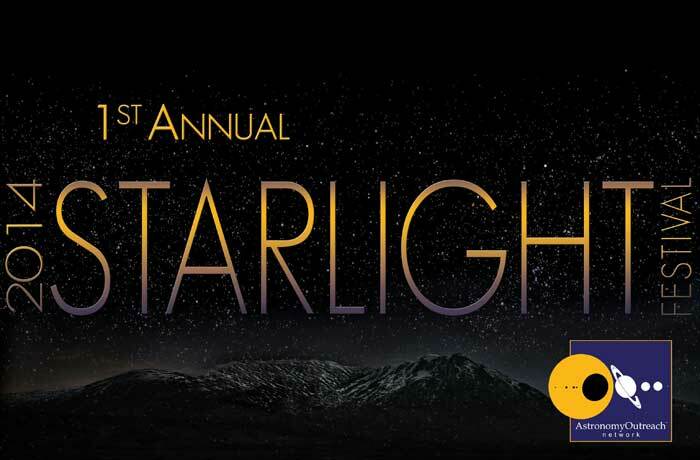 IDA Acting Executive Director Scott Kardel will be bringing the vision and mission of the International Dark-Sky Association to the StarLight Festival’s STEM Zone where attendees will to learn how protect our dark sky heritage. The gradual loss of our night sky is negatively impacting the planet’s natural environment. The beautiful starry nights of decades past are no longer visible from many places on Earth. Human- produced light pollution not only impacts astronomers, it disrupts ecosystems and human health, wasting energy and money. For a quarter century, the IDA has worked with communities, companies and governments to protect the nighttime environment through responsible outdoor lighting. The StarLight Festival has partnered with the RTMC Astronomy Expo to celebrate RTMC’s 46th Annual Star Party in Big Bear at Camp Oakes. Visit the RTMC booth at the StarLight Festival for complimentary day passes to the RTMC Astronomy Expo. Quantities are limited. The Big Bear Solar Observatory Team will have an interpretive center at the festival and exclusive tours of the observatory. Visitors will meet JPL/NASA scientists and astronauts and representatives of leading public outreach organizations. For more information about the Starlight Festival visit www.StarLightFestival.com. Founded in 2000, the AstronomyOutreach network is a 501(c)3 that promotes and recognizes individuals and organizations involved in astronomy outreach for the general public. It is an inclusive organization that welcomes a wide audience devoted to educational and public outreach, whether amateur or professional, commercial or non-profit. More information about Aon can be found at www.AstronomyOutreach.net. The International Dark Sky Association, a 501(c)(3) non-profit organization based in Tucson, Arizona, advocates for the protection of the nighttime environment by educating policymakers and the public about night sky conservation and promoting environmentally responsible outdoor lighting. More information about IDA and its mission may be found at https://www.darksky.org.